The link between psychoanalysis as a mode of interpretation and Shakespeare's works is well known. But rather than merely putting Shakespeare on the couch, Philip Armstrong focuses on the complex and fascinatingly fruitful mutual relationship between Shakespeare's texts and psychoanalytic theory. He shows how the theories of Freud, Rank, Jones, Lacan, Erikson, and others are themselves in a large part the product of reading Shakespeare. 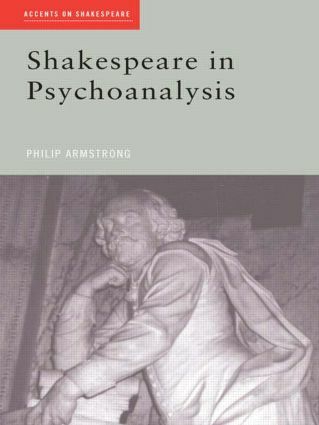 Armstrong provides an introductory cultural history of the relationship between psychoanalytic concepts and Shakespearean texts. *the virtual space of the PC.